I am finally finding time to write, but must interrupt the regular format of my posts with sadness as our family has lost one of its great matriarchs. I use this word with purpose, especially after reading this definition: “A highly respected woman who is a mother” (“Dictionary, Encyclopedia and Thesaurus.” The Free Dictionary. Farlex, 2000. Web). My husband’s Aunt Helen became my aunt from our first family event. 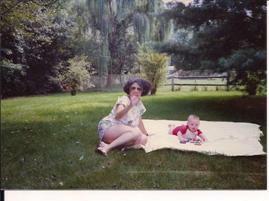 She epitomized the “Other Mothers” I am grateful to have had; as I wrote in my post, https://iwishmymom.wordpress.com/2011/04/10/other-mothers/. Even one week before she succumbed to non-smoker’s lung cancer at age 86, she shared her wisdom and positive spin with me. While I think I was one of her biggest fans, I realize that her entire family and her friends tie for first place in that category. She was also a fan of each of us, always interested in and supportive of our endeavors. I appreciated her subscription to this blog. She read it and commented to me as an “other mother” and as a regular reader. I am glad that she and my mom had the chance to meet. My mom, being a great judge of character, immediately liked her. Her daughters, son, grandchildren, brother and all of us nieces, nephews and cousins have been inspired by her and will miss her greatly. As Aunt Helen, generous and selfless, would have wanted, we are not dwelling on our loss. She would be glad to know we celebrate her and carry on with strength and optimism. Just a few weeks later, I watched a dear friend, my husband’s stepmother, grieve as her mother passed away. She had the great fortune to enjoy a very long and wonderful relationship with her mom who died at age 92. Yet, losing your mom, at any age, is so difficult. I have actually debated (with myself, in my head), if I would find losing my mom harder had she lived longer. As silly as it sounds, I think maybe I’d be even more spoiled, more used to having her around. I might not have learned to make certain decisions (right or wrong….) on my own. I would have become more dependent on her advice, help, etc. I wonder, would the adjustment to life as a motherless daughter and parent, be more difficult if my mom had lived another 20 years? So, when a relative or friend experiences this loss, I sometimes think, “Oh she has it so much harder than I did.” And, then, I almost get angry with myself as I realize that A. I had it really hard. When my mom died, I was filled with agony. I could not have imagined a more painful period of time. My adjustment was not easier than anyone else’s. B. What I would have done or would still do to have been granted more time with mom. It would have been wonderful to share even one more day with her. And C. It’s all so personal, unique and unpredictable. We cannot measure the suffering we experience when our mother dies. No one’s is easier, better, harder. I am so happy to be back to blogging. 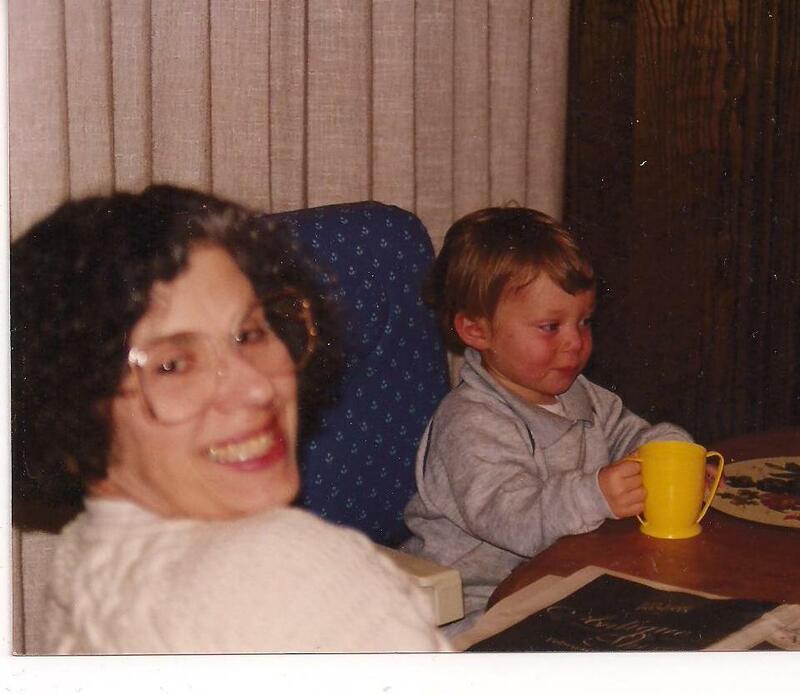 It’s not that I didn’t think about my mom in the last 2 months- my constant connection to her is certainly intact. While on hiatus and while catching up on some reading, I was inspired and couldn’t wait to write this post. I’m sure we all notice that mothers are often a focal point of books and articles. But, what struck me, is a deep and thoughtful commentary on a mother’s influence and relationships in Swamplandia! by Karen Russell. I’m willing to bet you haven’t heard of this Pulitzer Prize finalist and neither had I. I did not choose this to read this book on my own– a colleague suggested it for our high school’s first Student/Staff Book Club. I felt lucky to be engaged with the protagonist, soon-to-be motherless daughter, Ava. I was surprised and affected by the mother/daughter thread throughout the novel. While each book club member found parts of the novel engaging, no one expressed the connection that I found. Each time I picked up the book I looked forward to Ava’s reminiscence and her ongoing relationship with her deceased mother. As soon as her mother, Hilola is diagnosed with cancer, it is apparent that her demise will have a huge impact on the family and their alligator theme park business. While the business does crumble after her death, Ava remains strong, partially powered by her mother’s strength and presence. Often as I read, I wanted to reach out and hug Ava for verbalizing my feelings, exactly. Her view of dealing with her mom’s death should be highlighted in a self-help book for mourners. Why do we sometimes avoid talking about our loved one’s death? When Ava needed to “explain to him about mom’s death which was always hard to do. It felt like killing her again.” Exactly. Talking about the details brings back the harsh reality that no one should have to endure once, let alone again and again. When I started writing this blog, it was because I felt, like Ava, that my mom “was everywhere and nowhere.” She continues to influence me. When Ava’s brother, Kiwi, hears tourists remember his mom’s acts, “he wanted to passionately kiss them.” I know that feeling. I LOVE talking with anyone who remembers my mom. We don’t have to talk about her, just the fact that this person knew her enough to say her name. Attending events like my neighborhood swim club’s reunion party and my own high school reunion, for me, is partially fueled by knowing I will mingle with people who knew my parents. During these gatherings, they probably have no idea how meaningful it is for them to acknowledge my mom or dad. Sometimes, I tell them. Like Kiwi, I feel like “her name in a stranger’s mouth was a resurrection.” Well, I don’t have the experience with strangers, but the feeling is the same. Ava remembers her mom as “stern and all-seeing” as moms should be. She recalls that her mom “would do this great favor of pretending to be credulous when we faked sick. Mom cooed sincerely over our theatrical moanings and coughs.” My mom didn’t coo, but she did sometimes fall for the “I’m too sick to go to school” drill. Ava reinforces the notion that my mom, like hers, was usually aware of my actual condition. Finally, at the end of the story, when the family is reunited and is headed towards healing, Ava feels relieved that “all of us, the four of us—the five of us if you counted Mom inside us- we were home.” And, that’s just the point. My mom is still here, inside of me, each and every moment. I am fortunate, like Ava, to have had a mom who mattered. I must first admit that I was glued to the television yesterday to watch Whitney Houston’s funeral. For the past 8 days, many people, famous and not, have praised her voice and her songs. Ever since she entered the music world, when she and I were both 16, I have been entranced. I was more obsessed with following her funeral than with many other celebrities who have died. 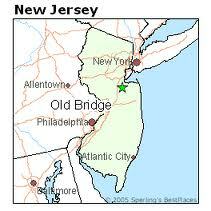 Perhaps it’s because we share our age and New Jersey that I am particularly intrigued by her. I thought it was really neat that we were pregnant around the same time and years later her daughter attended the same day camp as many children from my area. I love the story one friend told about Whitney following the camp bus to make sure her daughter, Bobbi Kristina, was okay. While watching and listening to the songs and speeches during the funeral, I thought of Whitney’s daughter and mother. And, then, Clive Davis gave a speech filled with deep understanding. I was struck when this older, very famous, successful and powerful man spoke about his mom dying at the age of 47, when he was a teenager. He said, “I’ve felt my mother’s guidance and she’s helped me throughout my life.” He told the audience and emphasized to Whitney’s daughter that his mom is always with him even to “this very day.” In sharing his personal history, he comforted Bobbi Kristina in a warm and endearing way. This motherless son expressed exactly how I feel as a motherless daughter. It is a tribute to incredible parents that they can continue to guide us after they have died. Instead of letting anger or defeat get in the way, Clive Davis, a destitute orphan, found his mother’s voice inside of him. Without parental support, he attended NYU and Harvard Law School on full scholarships. He spoke about being a father figure to Whitney and, after reading about him, it seems like he has taken that role with many artists. I love that thought—that even after your mom has died, she will hold your hand. That, in essence, is what I feel and why I write this blog. I am grateful to have had an incredible mother who, I feel every day, is looking after me. I hope that you feel the same or can create that feeling with someone in your life. “Clive Davis Biography – Facts, Birthday, Life Story – Biography.com.” Famous Biographies & TV Shows – Biography.com. 2012. Web. 19 Feb. 2012. http://www.biography.com/people/clive-davis-20740991. “Whitney’s “raising the Roof” in Heaven, Clive Davis Says – Celebrity Circuit – CBS News.”Breaking News Headlines: Business, Entertainment & World News – CBS News. 18 Feb. 2012. Web. 19 Feb. 2012. http://www.cbsnews.com.